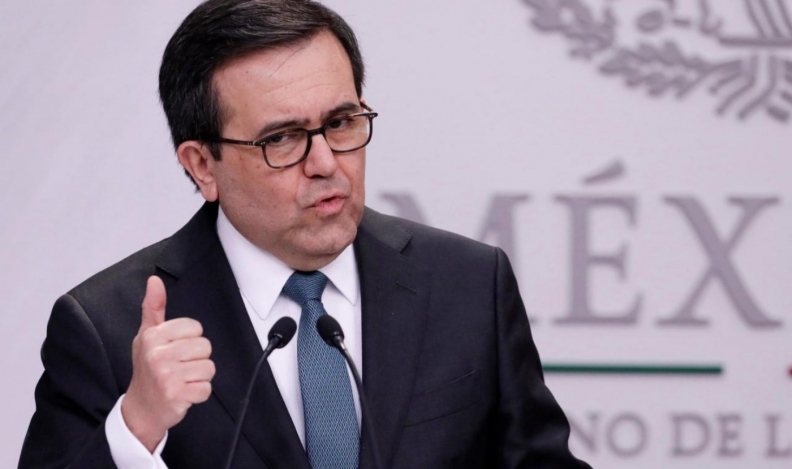 MEXICO CITY — Mexico’s economy minister said on Tuesday that he saw diminishing chances for a new North American Free Trade Agreement ahead of a May 17 deadline to present a deal that could be signed by the current U.S. Congress. Paul Ryan, the speaker of the U.S. House of Representatives, has said that the Republican-controlled Congress would need to be notified of a new NAFTA deal by Thursday to give lawmakers a chance of approving it before a newly elected Congress takes over in January. “It is not easy, we do not think we will have it by Thursday,” Mexican Economy Minister Ildefonso Guajardo told broadcaster Televisa. “We will keep negotiating, and in the moment that we have a good negotiation, we can close the deal and it will be notified, independent of which Congress [the current or new] that will vote on it,” he said. Negotiators from the United States, Mexico and Canada have been in intense talks since late last month to try to reach a deal before upcoming U.S. congressional elections. Mexico’s presidential vote on July 1 also complicates talks. Mexico's peso sank to its weakest in more than a year on Tuesday. Guajardo said the currency was being hurt by uncertainty over NAFTA talks and Mexico's upcoming election. “Trudeau said that there are elements to reach a deal. The problem is there needs to be flexibility from the parties,” Guajardo said. Kenneth Smith, the chief Mexican negotiator at the talks, said that for Mexico there were no deadlines in the revamp. “Mexico’s position since the start of the negotiation has been that we’re not going to sacrifice the quality of the deal to conclude quickly,” he told local radio. Irrespective of the May 17 date mentioned by Ryan, there was still time to ratify a new NAFTA this year, Smith added. “There’s no question the possibility exists, we’re interested and I think the United States and Canada share this view,” he said, speaking to broadcaster Enfoque Noticias.